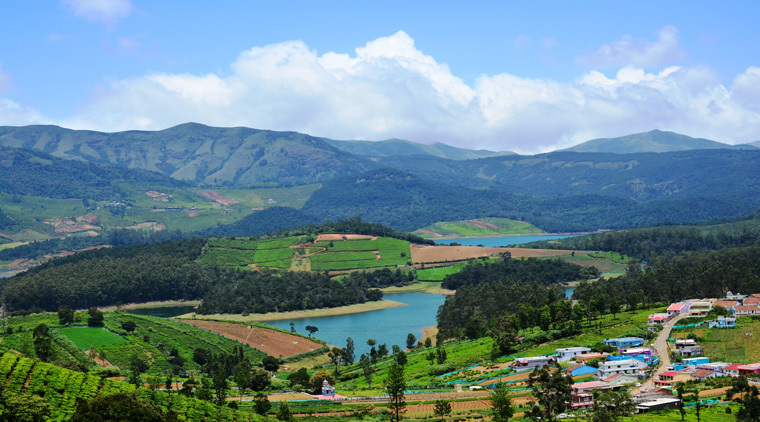 Ooty Kodaikanal Tour Package takes you to two of the most scenic hill stations in South India. Ooty is a famous tourist attraction of South. 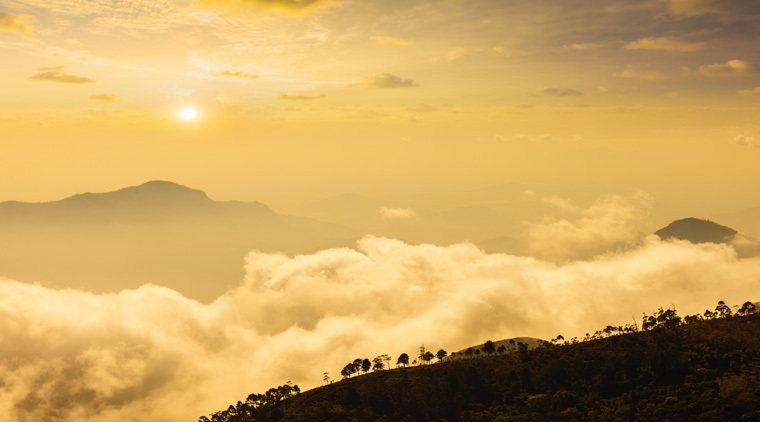 Whereas Kodaikanal is a mesmerising hill stations in India located amidst the Palani Hills of South India. Ooty Kodaikanal Tour Package takes you to two of the most scenic hill stations in South India. Ooty is a famous tourist attraction of South in India, mainly for its natural beauty. Whereas Kodaikanal is a mesmerising hill stations in India located amidst the Palani Hills of South India. Welcome at Coimbatore Airport or Coimbatore railway station where our representative shall meet you and assist you in your drive to Ooty. On arrival at Ooty check-in at the hotel. Rest of day is free at leisure. Enjoy your dinner & Overnight stay at hotel. In morning after breakfast, explore the scenic beauty of Ooty hills and around (Kindly refer the Ooty travel guide(Travel Tips For This Tour Section) which will help you to plan your Ooty trip). Later, return back to hotel in the evening for dinner and overnight stay. Next day of Ooty Kodaikanal tour package takes you to yet another scenic destination- Kodaikanal. After early breakfast, drive to Kodaikanal. It is one of the most popular hills Station of the south India. On arrival, check in at hotel. Evening free for your own activities, Enjoy dinner and overnight stay at Kodaikanal. 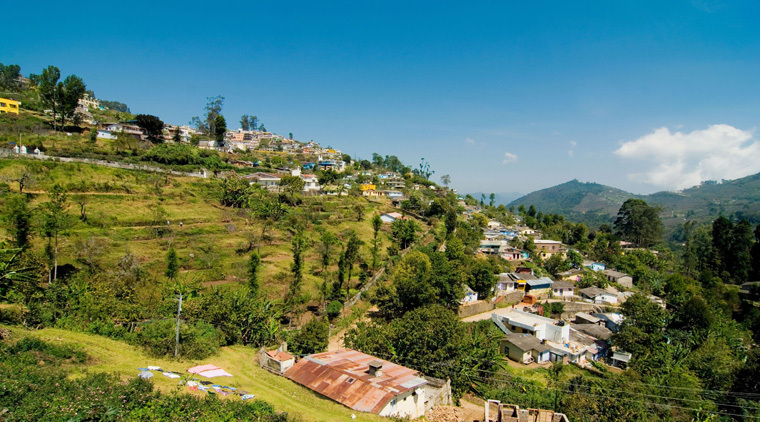 After breakfast leave for a full day sightseeing tour of Kodaikanal (please refer the sightseeing guide below which would help you to plan your sightseeing tour of Kodaikanal). Later return back to hotel in the evening for dinner and overnight stay. In morning after breakfast on time check-out from the hotel and drive to Coimbatore. On arrival, transfer to Airport/ Hotel for your onward destinations. •	Assistance on arrival at Coimbatore. •	04 Nights accommodation in the hotel on twin sharing basis. •	All meals Veg/ Non-veg in the hotel. •	Any Air/train fares other than those specified in 'Cost Includes'. •	Any other item not specified in 'cost includes'. •	Monument Entry ticket, permits fees, boat/ferry ticket, camera ticket at various places of sightseeing. •	Any Expenses of personal nature such as portage at airports and hotels, tips, insurance, wine, mineral water, telephone charges, laundry, guide charges, entrance fees and all items of personal nature. Botanical Garden : Established in year 1848 and famous for its flower show, Botanical garden at Ooty is spread over an area of about 22 hectares.The botanical garden has thousands of varieties of both indigenous and exotic plants, trees , bonsai, shrubs and flowers.In the center of the botanical garden is a fossilized tree dating back to 20 million years. Sim’s Park Located at Coonoor , about 20 kms from Ooty, Sim’s Park is a beautiful botanical park and is a home to en exotic collection of plants from across the world . Rose Garden : Also known as Jayalalithaa Rose Garden, it is located on the slopes of Elk Hill in Ooty.The garden had received “Garden of Excellence Award” from the World Fedration of Rose Societies , Osaka Japan, for being the best garden in South Asia . Pine Forest :A favorite spot for movie shooting and credited with the shooting of Hindi movies such as Qayamat se Qayamat tak, Sadma, Saajan and Dil, this beautiful tourist point attracts tourists due to its scenic views.It is located between Ooty and Thalakunda and what makes it scenic are the orderly laid out rows of pine trees . 6th Mile : Another beautiful spot near Ooty , this spot is ideal for picnics and has been another favorite of movie makers.If you love photography and are looking or an ideal scenic spot for landscape photography, visit 6th Mile. Stone House : It was the first bungalow built in Ooty by John Sullivan , the then collector of Coimbatore who had originally visited India as a writer . Government Museum : A house to some of the rare tribal artifacts and Tamil Nadu’s sculpture, arts and crafts, the museum is a must visit place for those who love to explore history and culture of a destination . Tea Museum : As the very name suggests , Tea factory which is next to Doddabetta tea factory is a must visit place for those who wish to understand the evolution and the process by which that refreshing cup of tea reaches us . Dolphin’s Nose: Resembling a Dolphin’s name and thus named so, this view point which is about 1000 feet high is the best place to see Catherine waterfalls. Lamb’s Rock : Located about 8 kms from Coonoor in Burliar village, it is a tourist spot, from where one gets scenic views of the tea estates.It is named after the then collector , Captain Lamb. Ooty Lake : An artificial lake built by John Sullivan , Ooty lake famous for its boating is spread over 65 acres.In the summers boat races are organized in the lake. Pykara Waterfalls : One has to travel about 20 Kms to reach Pykara lake and Pykara waterfalls.It is ideal for honeymooners who wish to spend time walking along the pine trees as also for photographers who wish to capture landscape photos at this scenic place. Kamaraj Sagar Lake : Located about 10 kms from Ooty, it is a picnic spot with scenic views . Catherine Waterfalls : Falling from a whooping height of about 250 feet,located around Coonoor, Catherine waterfalls are very scenic and a must visit tourist attraction. 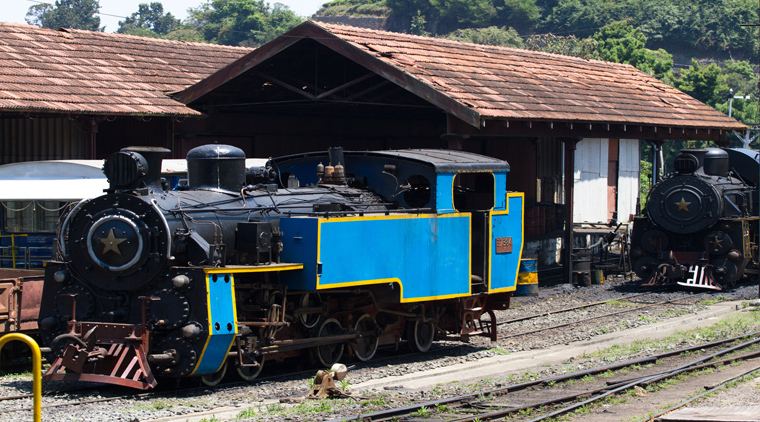 Nilgiri Mountain Railway : Built by the Britishers in the year 1908, Nilgiri Mountain Railway is a UNESCO’s World heritage site, the 46 kms scenic journey in a toy train which starts from Mettupalayam will leave you speechless owing to its wonderful experience . Thread Garden : It is an innovative place where lots of plants and flowers have been fabricated out of thread .Located opposite the boat house in Ooty, this artificial plant kingdom would amaze you. Doddabetta Lookout : One of the best and the highest lookout points in Nilgiri hills, it is located about 7 kms from city center . Palani Temple : Situated about 65 Kms from Kodaikanal, this temple dedicated to Lord Subramanian is one of the most famous temples of south India. 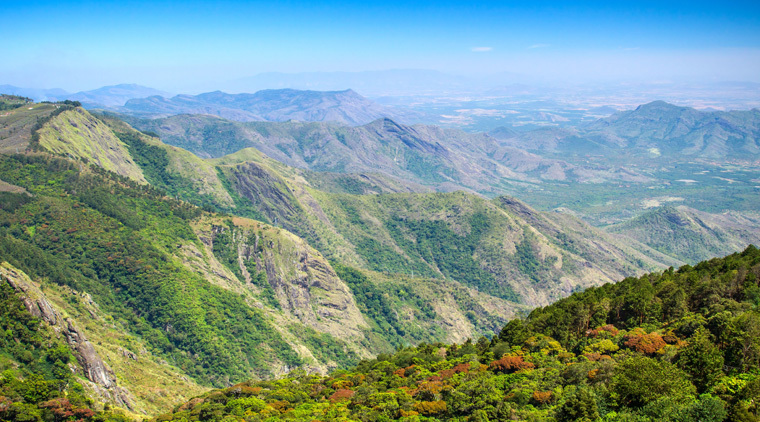 Kurinji Andavar Temple : Perched on top of a hill , this temple dedicated to Lord Murugan offers breathtaking views of Kodaikanal and Palani hills. Mother Salette Church : Build in 1883 and famous for its Mother Selette Festival , this 133 years old church is one of the most beautiful churches in Kodaikanal. Lutheran Church : With beautiful Gothic style of architecture, this Church located in Lakshmipuram is adorned with stained glasses windows and paintings depicting life of Jesus Christ. Christ the King Church : Having distinct influence of colonial period in its architecture, this church in which ample use of granite has been made is very beautiful and is near to Coaker’s walk. Chettiar Park : On the way to Kurinji Andavar Temple , you would find this beautiful and well maintained park which has lots of Kurinji flowers that bloom with violet flowers every 12 years. Coaker’s walk : Named after Lt. Coaker, who is credited for drawing the city map of Kodaikanal, this walkway along the lake offers stunningly beautiful views of Dolphin’s Nose, Pambar River and bird’s view of Madurai city . Bryant Park : Situated close to Kodai Lake, Bryant park is famous for its large dahlias and the annual flower show.Do not miss this beautiful park while you are at Kodaikanal. Dolmen Circle : Dating back to Neolithic period, Dolem Circle is an anthropological site.Dolmens and Kistavens were the burial places of people from stone and iron age. 80 Mile Round : It is a very thrilling trekking route which generally takes about 2-3 days to finish.The trekking goes along the Berijam Lake and culminates at Poombarai village.It is advised to take the local guides as the trek becomes confusing at some places. Perumal Peaks : It is a high peak in Perumalai Hills with altitude of about 8005 feet above mean sea level in he Western Ghats.It is a favourite peak to climb for trekkers and Hikers. Pillar Rocks : About 8.5 Kms from the Kodaikanal bus stand are these 3 rocks which are as high as 400 feet and offer great views from a view point. Kukkal Caves : These metamorphic ancient rock shelters can be reached by 8 kms trek from Kookal Forest rest house which can be reached from Poombarai. Devil’s Kitchen : Now famous as Guna Caves, named so after the Tamil movie Guna was shot here, these caves infested with bats can only be experienced from a distance as it has been fenced after 12 youth were killed here. Berijam Lake : Located at the end of Pillar Rocks road, it is a reservoir from which Periyakulam town is supplied drinking water. 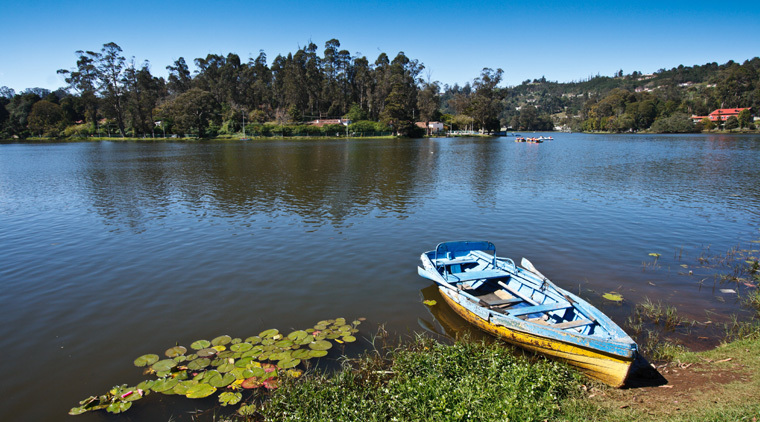 Kodaikanal Lake : Kodai lake is a man made lake where one may enjoy boating. Bear Shola Falls : At a distance of about 3.5 Kms, it is a rain fed falls the are full of gushing water during the monsoons and presents a photo opportunity to all selfie lovers. Sacred heart natural science museum : From bottled snakes to human embryos, from stuffed moths and stuffed animal caracasses to pressed kurinji flowers, this place is full of remnants of flora and fauna of Kodaikanal collected for about 100 years now. Moir’s Point : It is a view point near the entrance of Berijam Lake road from where beautiful views of valley are available. Green Valley view : Earlier famous by the name of Suicide point, if mist is not there, you may be able to get stunning views of valley.